Reminder that tomorrow there will not be delayed start! Did you know? 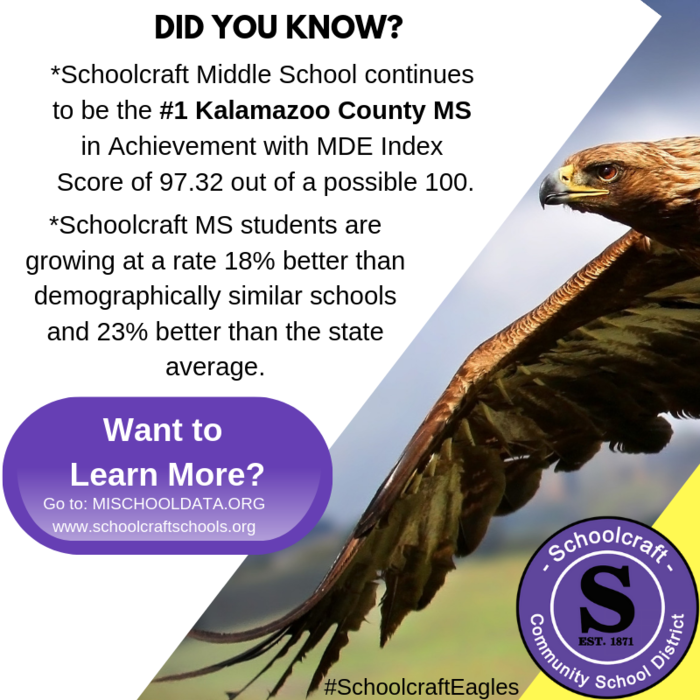 Schoolcraft Middle School Eagles are Soaring! 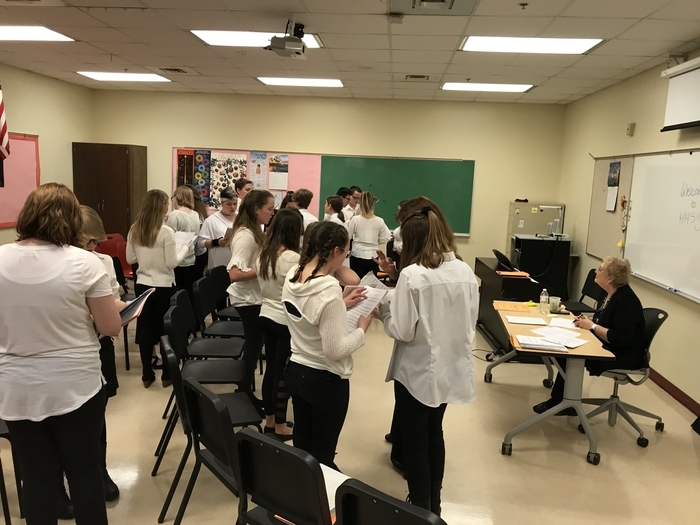 Congratulations to Mrs. Olbrot and the Schoolcraft Middle School Choir on a fine performance today at the MSVA District 11 Choir Festival in Marshall. 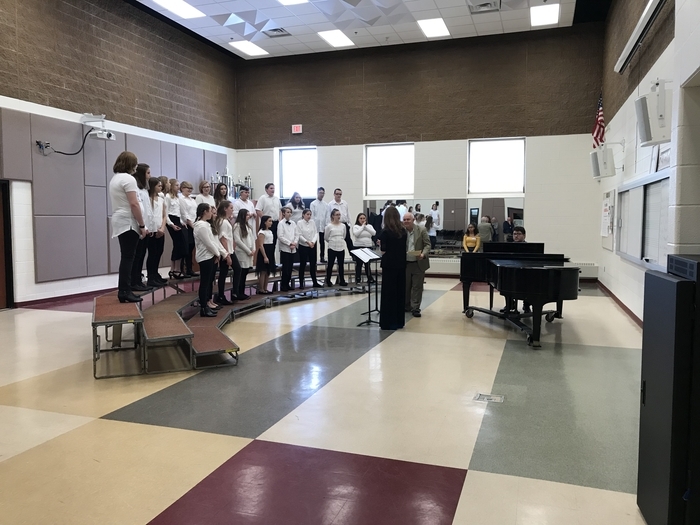 The choir earned a mix of first and second division ratings for an overall Division 2 (excellent) rating. 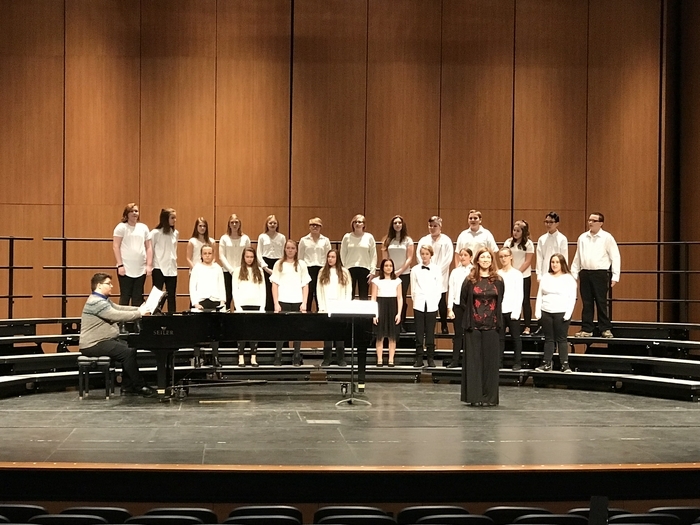 Way to go SMS CHOIR!! 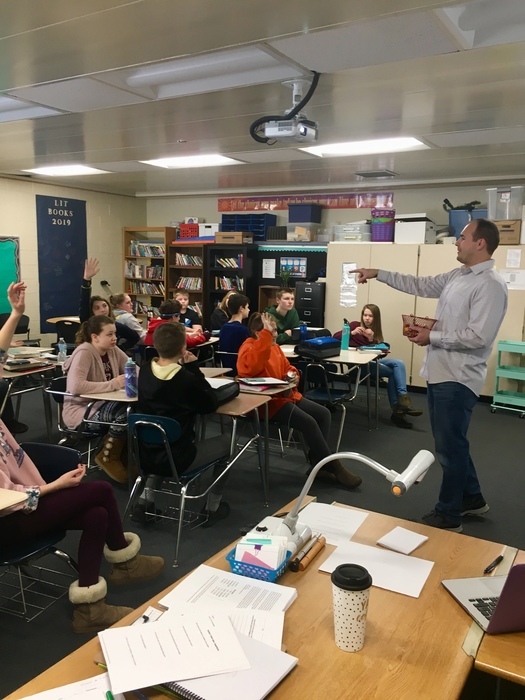 8th Graders met with a new author from Kalamazoo: Lucas Fischhaber. 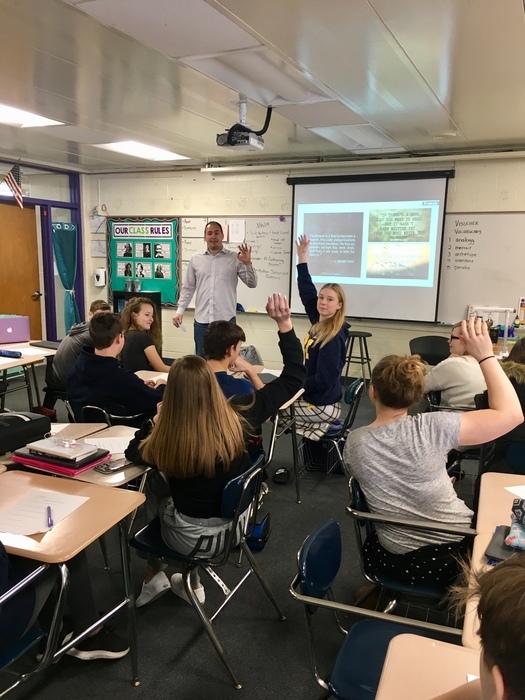 Mr. Fischhaber's fiction book "Age of Wonder: A Gathering Storm" is in the publishing process right now. He talked to the kids about the writing process and what it takes to be a writer. 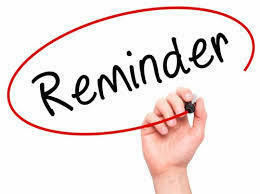 The middle school girls basketball games vs. Kalamazoo Christian have been rescheduled for Thursday, January 24th. The 8th grade grade will be at Kalamazoo Christian with a 4:30 PM start time. The 7th grade games will be play at Schoolcraft in the Elementary Gym with a 4:30 PM start time. This Friday night from 5-7 pm in the High School cafeteria there will be a Spaghetti Dinner fundraiser. Tickets will be sold at the door for $5. 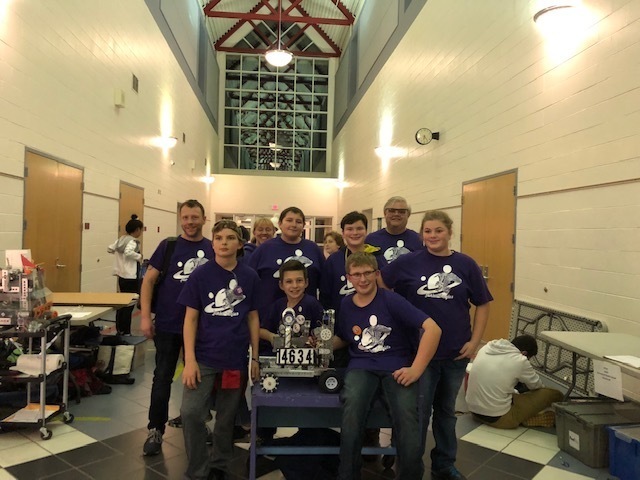 All proceeds raised will go toward the 8th grade Washington D.C. trip this spring! Sorry for the misinformation, The Middle School Boys basketball games times have changed tomorrow due to the MS band concert. The 7th grade B will be starting at 4 pm, followed by 7th A at Kalamazoo Christian. The 8th grade game will begin at 4 pm at SMS. 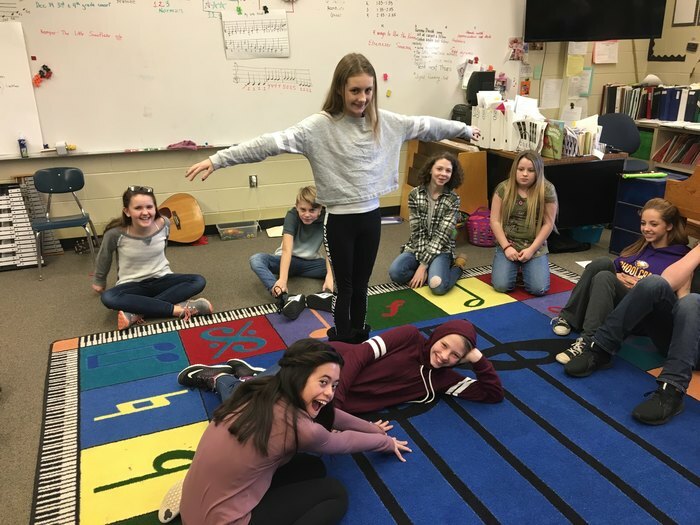 The middle school choirs partnered this week with Aesthetic Education to learn about theatre. They all will be seeing a show in December at Chenery Auditorium and will applying these lessons to their own pieces! Schoolcraft Middle School students once again demonstrated great heart in service to our greater community during the 2018 Rake and Run!! Students fanned out over the village of Schoolcraft to help rake up the leaves before the final leaf pick-up. Tuesday the 20th is our annual Rake and Run at the Middle School! 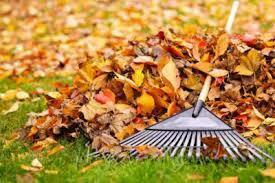 Please have your child bring in their rake (labeled with their name) on Monday the 19th so we are prepared! Thanks! Just a reminder: Ski Club Packets are due back on Friday the 9th! 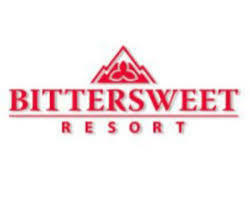 We will be skiing on Thursdays at Bittersweet Ski Resort this year! If you still need to get an information packet you can pick one up in the school offices. 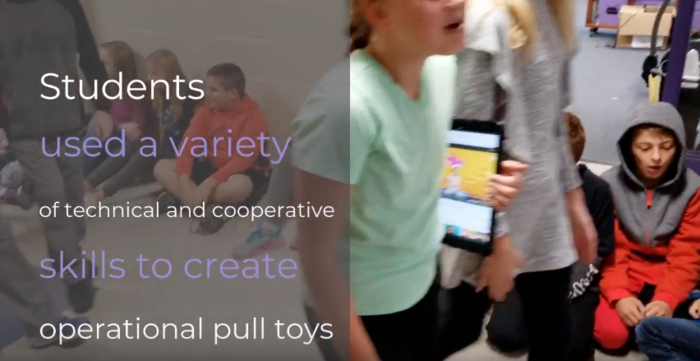 Middle School welcomes 5th grade students while wishing 8th grade students the best of luck. 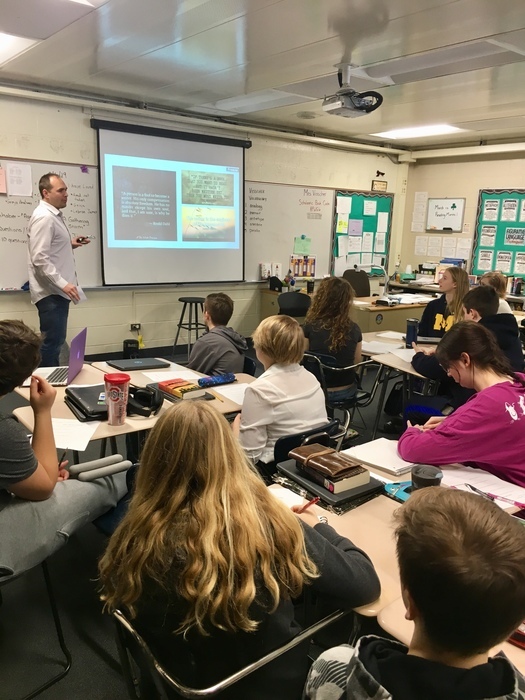 Gerah of Richmond Creative spoke to our students about marketing & graphic design careers as part of a Lunch & Learn for the Career Readiness Initiative. Thanks for sharing your time to help these students experience a real career opportunity from a true professional! 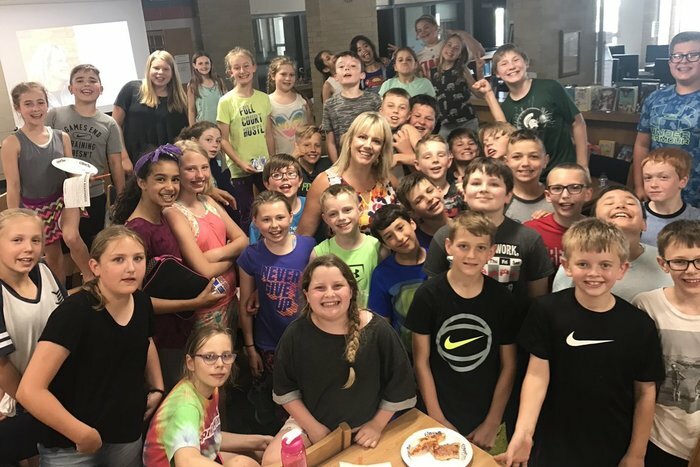 There is now a sign-up sheet available in the MS office for any 5th, 6th, or 7th graders interested in joining the middle school Cross Country team next season. Happy Running!